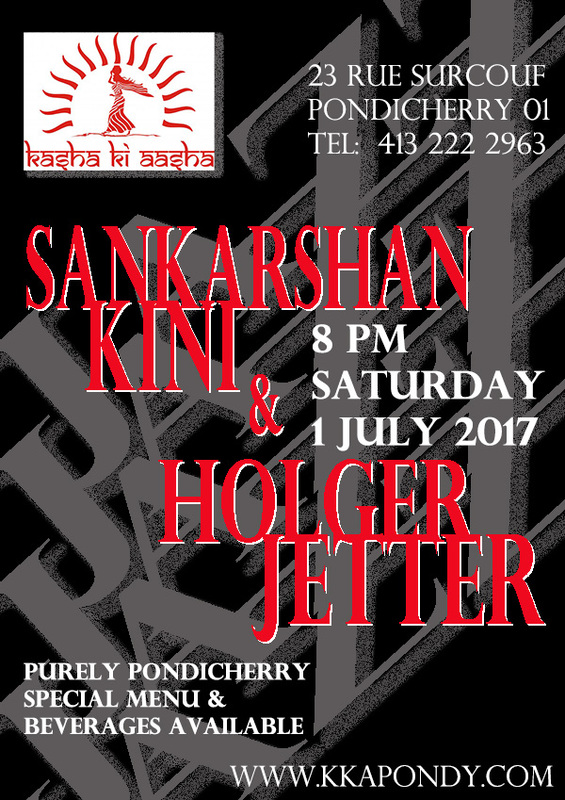 The Purely Pondicherry Performances keep right on rolling in 2018 with international musician Sankarshan Kini on vocals and guitar this Saturday. Join us for an evening of all your favorite jazz classics on our beautiful garden terrace from 8 pm on. 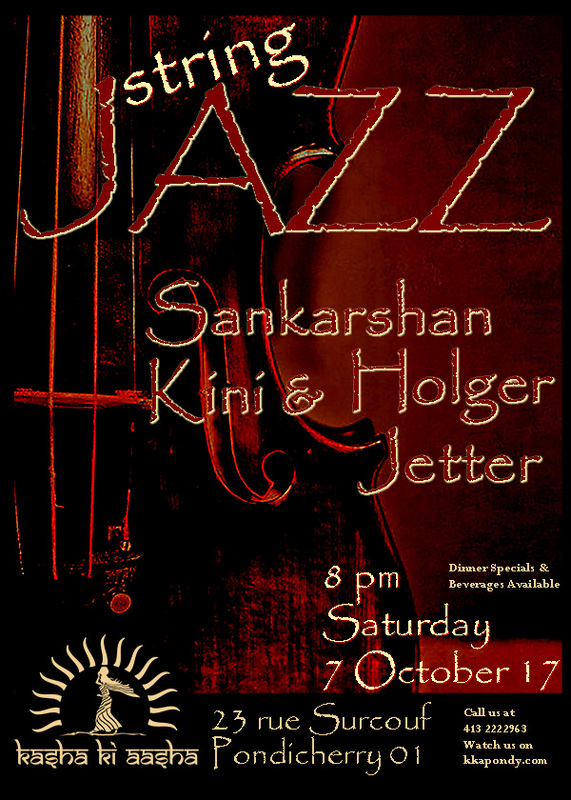 Pondicherry is definitely one of a kind and an evening of jazz at Kasha Ki Aasha will ensure you will never forget it. Music starts at 8 pm. We have a great dinner menu and lots of specials lined up for you! Come early to make the most of it. 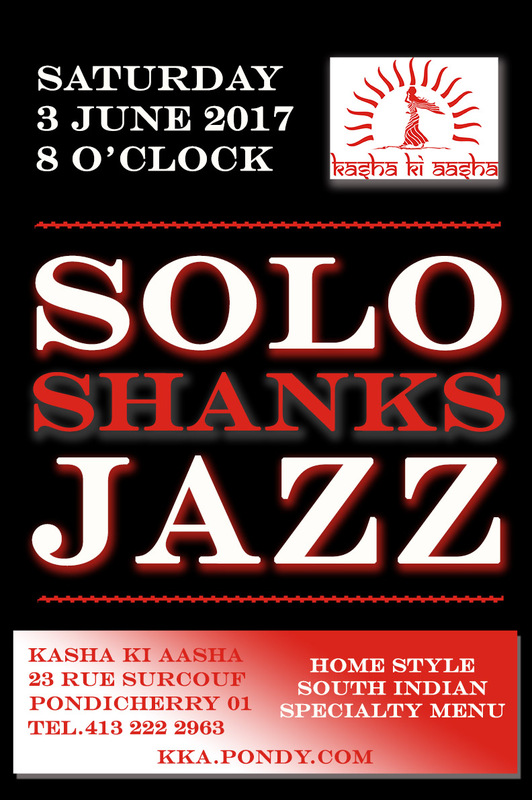 Kasha Ki Aasha is a hop, skip and a jump from the French Quarter at 23 rue Surcouf, Pondy 01. Call us for reservations at 413 222 2963. 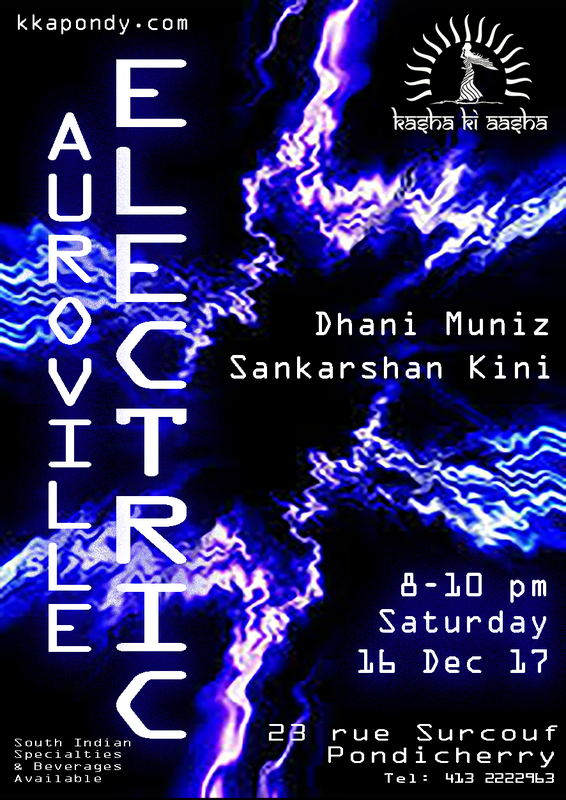 Auroville Electric is an electric guitar duo with Dhani Muniz and Shanks Kini. 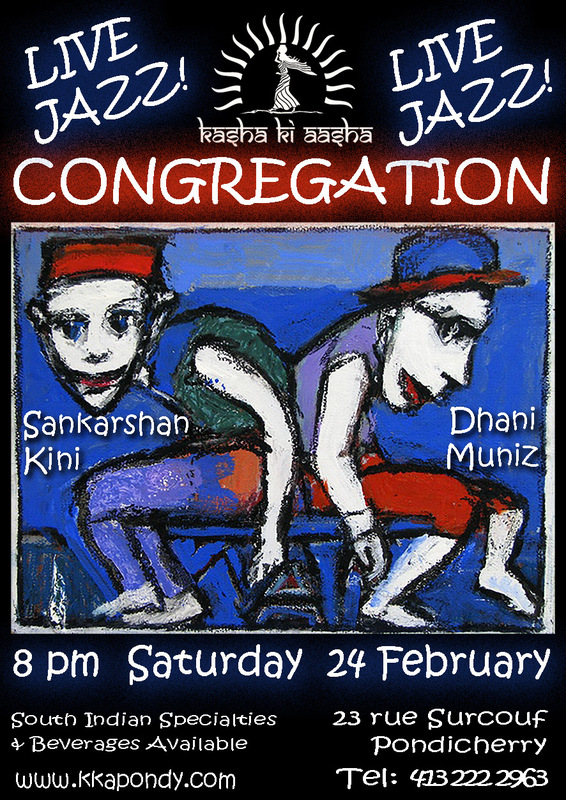 They will perform originals and reinterpretations of jazz standards. They explore contemporary jazz bringing in influences from Miles Davis, Bill Frisell, Jerry Garcia, John Scofield and Pat Metheny to name a few. 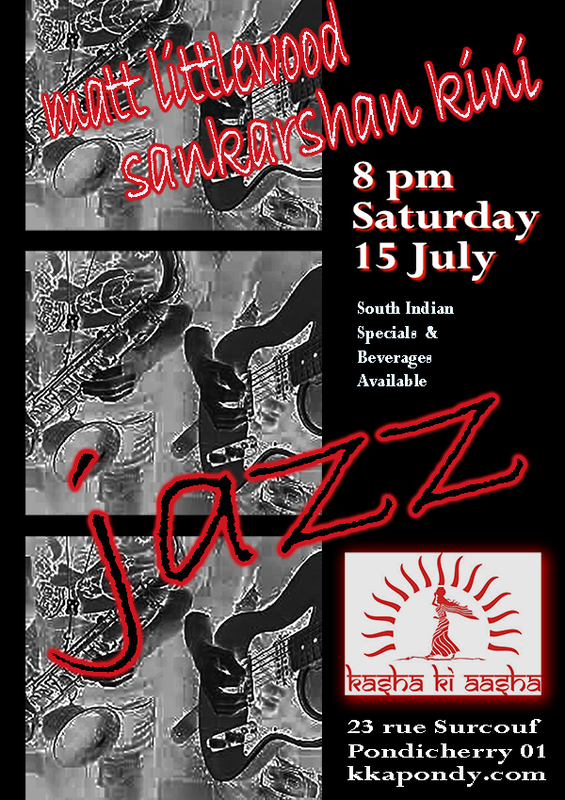 The sound waves start at 8 pm on Kasha Ki Aasha’s terrace. Come join us with or without a reservation (Call 413 222 2963). 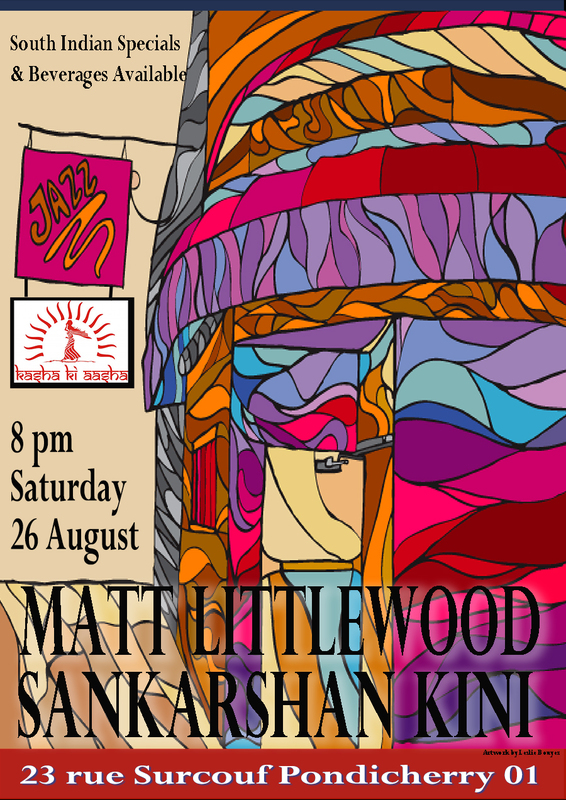 Kasha Ki Aasha is at 23 rue Surcouf, Pondy 01. Just a hop, skip and a jump over the canal from the French Quarter! Guitar, Vocals and Saxophone…. 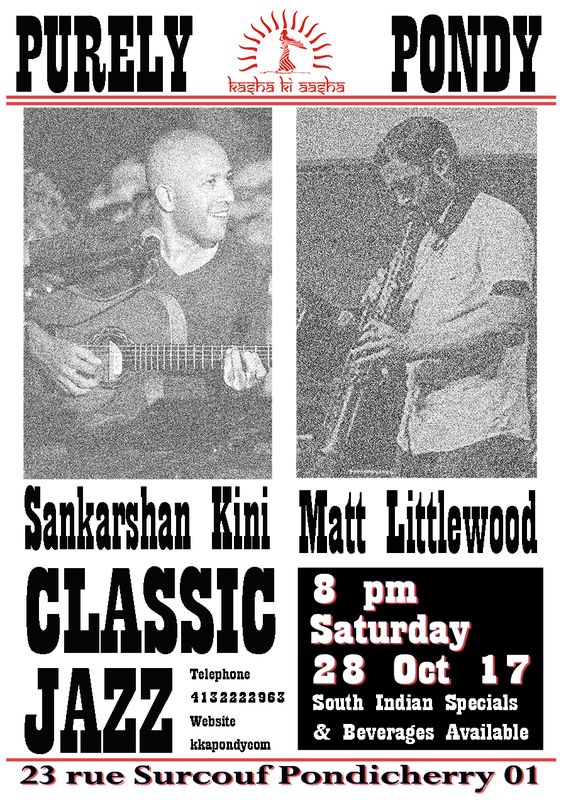 Sankarshan Kini and Matt Littlewood are back at Kasha Ki Aasha this weekend with their take on the Classics of Jazz. These guys combine their international experience and immense talents for two sets starting at 8 pm. Pondicherry is lucky to have artists like this to call its own! 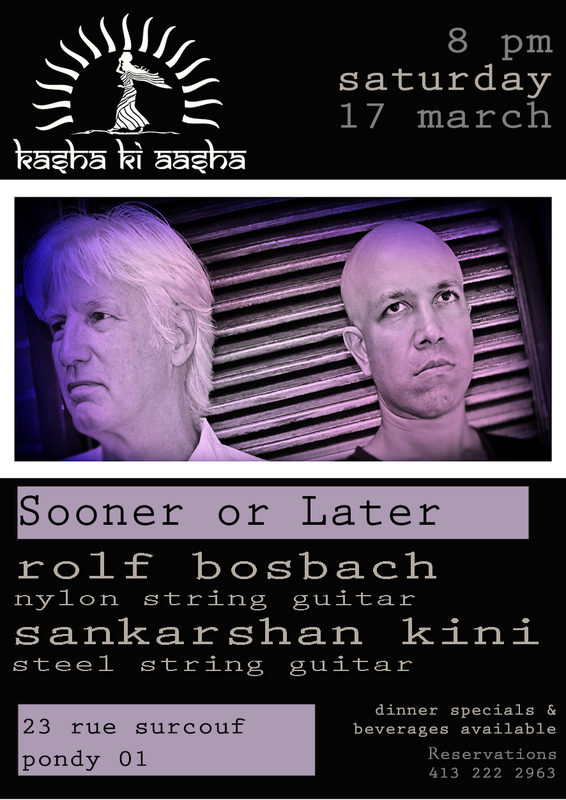 Kasha Ki Aasha’s live jazz performances continue this weekend with Sankarshan Kini on vocals and guitar and Holger Jetter on violin and string bass. Come put your feet up and enjoy the best night of the week in Pondicherry! Great music, great people and great food, what else could you ask for this weekend?? Music starts at 8 pm. We take reservations before 8:30 only at 413 2222963. We are easy to find at 23 rue Surcouf, Pondy 01. You will be very happy you did! Love when Matt and Shanks get together and make their incredible music on our breezy terrace! 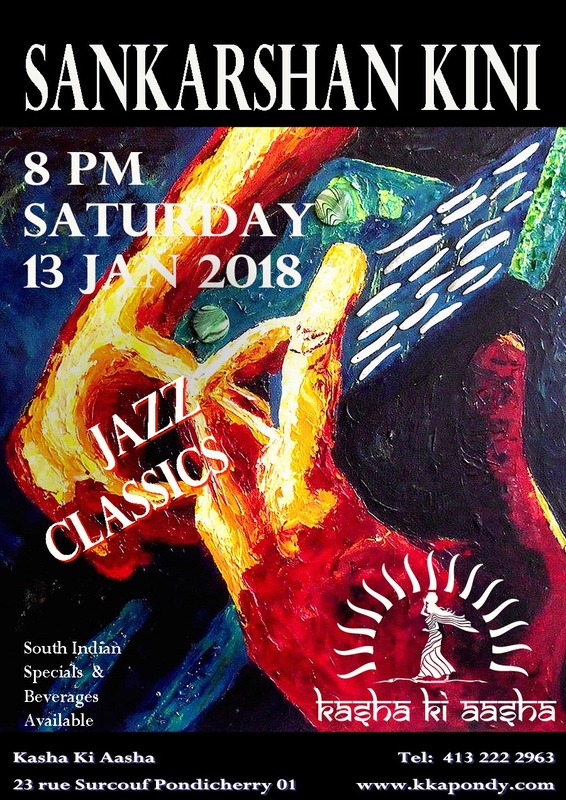 Come join us this Saturday evening at 8 pm for great jazz, great food and lots of great people. Kasha Ki Aasha is at 23 rue Surcouf in Pondicherry. We take reservations BEFORE 7:45 only at 413 222 2963. Can’t wait to see you! Love when Matt and Shanks get together and make some music on our breezy terrace! Come join us this Saturday evening at 8 pm for great jazz, great food and lots of great people.